New Orleans is probably the most “European” of all American cities. It has been greatly influenced by the Spanish and French among other nationalities. One of the best ways to explore New Orleans is to eat your way through it. The Crescent City has more terrific restaurants than anyone could visit in a lifetime but Athena and I made a good attempt in our recent weekend there. We began the romantic weekend with dinner at historic Antoine’s in the French Quarter. The food is your standard New Orleans cuisine (they created Oysters Rockefeller). The maze of dining rooms in this 160 year old restaurant is full of interesting memorabilia. Next on the agenda was a tour of Oak Alley Plantation which is about an hour’s car ride from the city. You can sip mint juleps on the veranda of this famous plantation and being laid back Louisiana, they even let you bring your beverage on the tour inside. For dinner the second night we opted for the acclaimed Grill Room at the Windsor Court Hotel. If you are looking to impress, this is certainly the place to bring someone. Both the hotel and their restaurant are rated five stars. The next day we started with a buggy ride around the French Quarter (pick them up at Jackson Square) which gave a good historical overview of the city. Then we did the obligatory tourist visit to K-Paul’s and the legendary Jambalaya is indeed worth writing about. 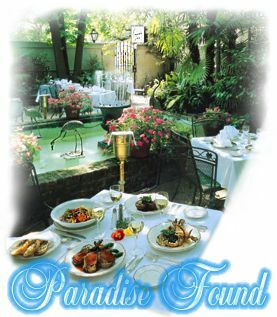 The culinary highlight of the long weekend was dinner at Commander’s Palace, located in the Big Easy’s genteel Garden District where the wealthiest New Orleanians live in their St. Charles Ave mansions. 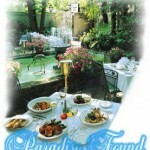 Be sure to order the Bread Pudding Soufflé and request the Garden Room where those in the know are dining. Check out the very old cemetery across the street and the beautiful mausoleums. No place does breakfast better than Brennan’s where Banana’s Foster was invented. It’s probably the priciest breakfast you will ever eat but I doubt you will ever have better anywhere. The historic charm, outstanding restaurants, the sounds of jazz everywhere and the relaxed atmosphere of New Orleans makes it a great place for a romantic getaway. Just bring baggy clothes.